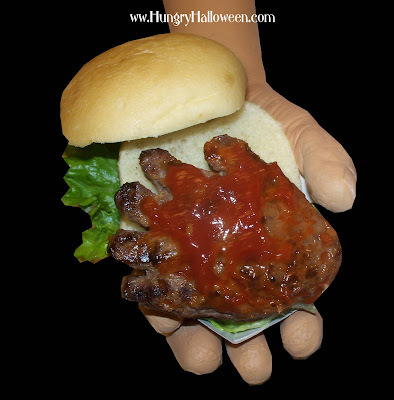 Click here, to see the recipe to make these Hand-Burger's Dripping in Blood. You'll be redirected to HungryHappenings.com. Love the idea of baking first. Your tips are wonderful! I bet you could do other body parts and you could make them zombie parts by adding chopped scallions, or slices of onion for finger nails? Pickles?